Co-operation between South African and Nigerian filmmakers forges ahead. Home /Co-operation between South African and Nigerian filmmakers forges ahead. 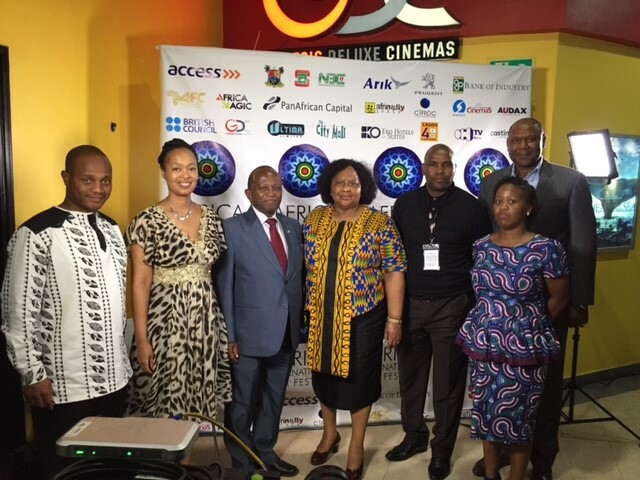 KwaZulu Natal Film Commission unveils exciting funding initiatives for filmmakers at the South Africa Day Conference in Lagos, Nigeria. 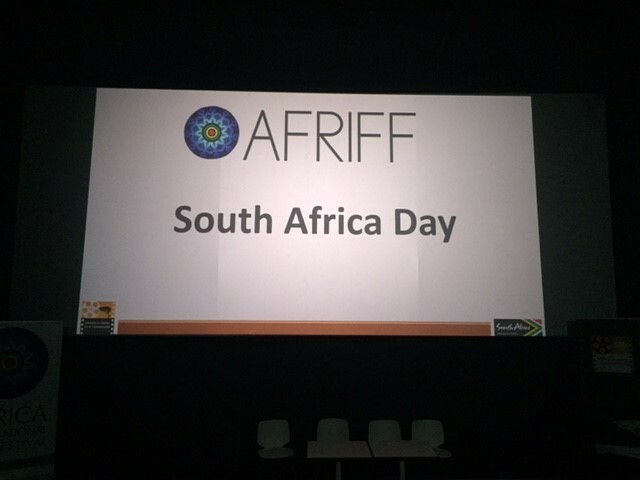 In continuation of the South African, Nigerian Co-production initiative lead by KwaZulu Natal Film Commission’s Jackie Motsepe and Mahmood Ali-Balogun, the Africa International film festival hosted South Africa Day at this year’s festival in Lagos, Nigeria. The day was graced by Ambassador Sam Mokgethi Monais, Consul General of the Republic of South Africa to Nigeria, Mayor Cynthia Mqwebu of Hibiscus in Port Shepstone and other dignitaries from South Africa. 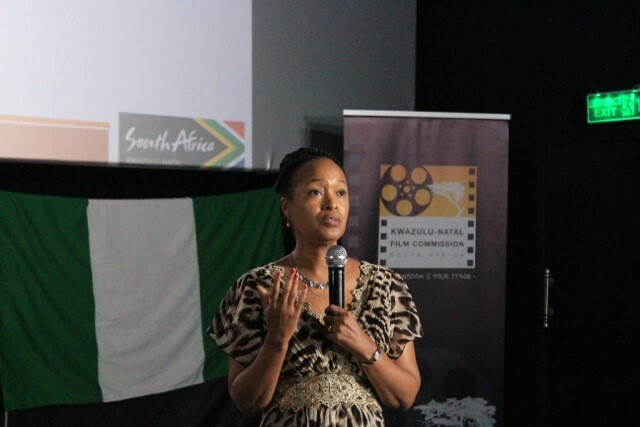 Presentations and discussions at the event revolved around galvanising projects already in development between the two countries, initiating new co-production projects and KwaZulu Natal film executives detailing the grants and funding opportunities available for filmmakers in South Africa. “We have made frantic attempts since the first Summit in South Africa in March this year to get the Agencies responsible to attend and contribute but each time we have met a brickwall. We will continue to try and engage them but it is sad that in the light of Nigerian’s present economic situation and the Federal Government’s determination to diversity the Nigerian economy away from Oil, that one of the jewels in our crown which generates over $600m every year for Nigeria’s economy and employs over 1 million people is not being given the attention it deserves and as usual the private sector is left to drive things along on its own”. The film follows two siblings battling over the life of their ailing mother (Mary Twala) who is in a coma. One wants to pull the plug, the other wants to keep her alive. One is male and the other female, one resides in Lagos and other in California, inevitably they engage in a battle of wills as dark family secrets come to light, relationships are shattered and the true meaning of love is revealed. And the Spirit Slowly Dies (South Africa, UK, Nigeria) – Drama/Thriller. Producers Dapo Oshiyemi, Mmabatho Kau and Dipo Abdul. Director Michelle Bello. Distributors Talking Drum Entertainment. The film tells the story of the only daughter of one of the richest and most powerful men in the country. Both Father and Daughter love and admire each other dearly but when their dreams clash, they embark upon a monumental psychological, emotional and physical battle as they become the biggest obstacle to each other’s happiness. The Wedding (South Africa, Nigeria)- Romantic Comedy. Producers: Mahmood Ali-Balogun, Menga Nhlabathi. Lead Cast: Ramsey Noah, Xolile Tsabalala. Beasts of No Nation Premiere: Idris Elba and Cast jet into Nigeria.